A session entitled “Cytogenetic Diagnosis and Molecular Profiling” focused on the diagnosis of genetic disorders and the technique of defining the genetic characteristics of an individual or of the population in fine detail. Dr. Mohammed Naveed presented the results of his study in identifying the genetic modifiers of a rare and severe limb deformity in a large Emirati family. Also, Dr. Anna Rajab fromOmanMinistry of Healthdelivered a lecture about her study to assess the morbidity related to congenital and genetic disorders in the country which showeda significant mortality and childhood mortality due to these disorders. Dr. Amal Al-Hashemgave a presentation about her team’s work in identifying new mutation in the ATP1A2 gene resulting in atypical Alternating Hemiplegia of Childhood. FluoroscenceIn Situ Hybridization (FISH) is a technology used to detect chromosomal abnormalities. Dr. Suzan Roshdi Ismail from Alexandria University, Egypt, talked about the effectiveness of using this tool at her Centre. Dr. Christina Skrypnyk gave an interesting presentation about the ECARUCA database for unbalanced chromosome aberrations. Finally, Dr. Abdul RezzakHamzeh from the Centre for Arab Genomic Studies (CAGS) talked about the achievements of the Centre on the occasion of its 10th anniversary. His talk shed light on the content of the CTGA Database, its past growth and future prospects. During the session entitled“Next Generation Sequencing”, this relatively new and fundamentally different approach to sequencing has been discussed as it started off a revolution in genomic science with its high throughput generation of data. Dr. RadojeDrmanacprovide a glimpse of the future where sequencing of entire genomes will be the broadly applied as the ultimate genetic test. Dr. Jun Wang elaborated on this note and introduced the notion that complete de novo assembly of multiple private genomes could be the way forward in human medical genomics. Prof. Fahd Al Mulla, Kuwait, introduced his ambitious case-control study using NGS methods to identify novel genes associated with breast cancer risk in Arab women. Prof. Hilger Ropers talked about the importance of using NGS technologies, specifically for the diagnosis of intellectual disability. He explained how the use of these technologies will help in the identification of clinically relevant mutations and genes and shed light on the molecular causes of intellectual disability and related conditions. In a session entitled “Consanguinity and Hereditary Diseases” genetic diseases in highly consanguineous populations was discussed. 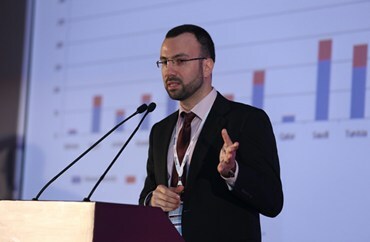 Prof. MoienKanaanpresented the results of his studies involving next generation sequencing technologies to identify novel genes and mutations for breast cancer and hearing loss among Palestinian Arabs. Dr. Rami AbouJamra presented the results of his team’s work in identifying mutations in the EZR gene to be the causative factor of a hereditary form of intellectual disability in a large consanguineous family. Dr. Zafar Nawaz, Qatar,talked out ACGH (Array Comparative Genomic Hybridization) diagnosis as a first line testing tool since 2010. Prof. HananHamamy rounded up this session with a highly instructive talk on the feasibility of applying new technologies to help consanguineous couples at risk of having affected children.